This medication may cause a serious loss of body water (dehydration) and salt/minerals. Tell your doctor right away if you have any of these unlikely but serious side effects: muscle cramps, weakness, unusual tiredness, confusion, severe dizziness, fainting, drowsiness, unusual dry mouth/thirst, nausea, vomiting, fast/irregular heartbeat. Tell your doctor right away if any of these unlikely but serious side effects occur: signs of kidney problems (such as change in the amount of urine), numbness/tingling/pain/redness/swelling of the arms/legs, hearing changes (such as ringing in the ears, temporary or permanent decreased hearing/deafness), stomach/abdominal pain, yellowing eyes/skin. What should I know regarding pregnancy, nursing and administering Lasix to children or the elderly? Some products that may interact with this drug include: ethacrynic acid, lithium. 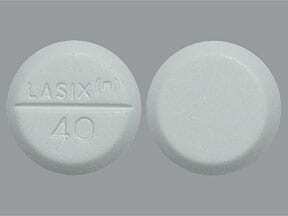 This medicine is a white, round, scored, tablet imprinted with "LASIX and logo 40". 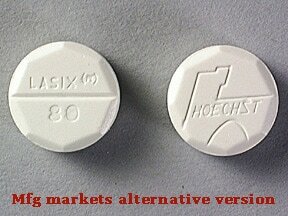 This medicine is a white, round, scored, tablet imprinted with "LASIX and logo 80" and "HOECHST". 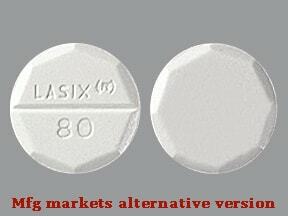 This medicine is a white, round, scored, tablet imprinted with "LASIX and logo 80". 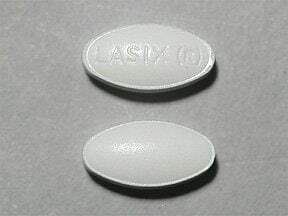 This medicine is a white, oval, tablet imprinted with "LASIX R". Are you considering switching to Lasix? 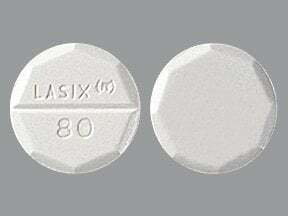 How long have you been taking Lasix?